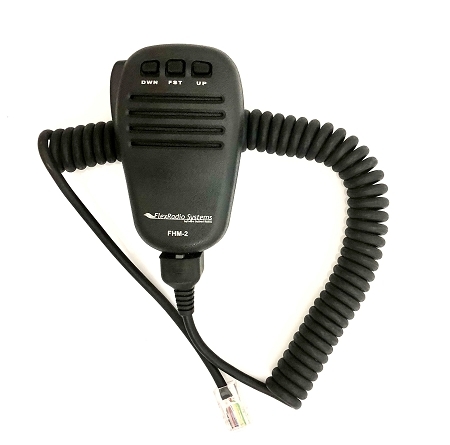 The FHM-2 hand mic incorporates a high gain, wide frequency response condenser microphone element and with its ergonomic design and a low resistance PTT button. The FHM-2 is a perfect complement to the Maestro, FLEX-3000, and FLEX-1500 software defined radios. Note: The bias voltage setting in SmartSDR will need to be enabled to use the FHM-2 hand mic.